When using the speed monitor PNOZ s30 you comply with the machinery directive with respect to the demand to safely monitor and maintain the operating status of the drive when the drive is shut down, thus protecting thee operation personnel. 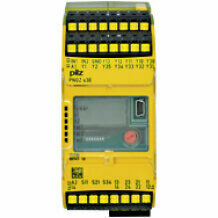 The speed monitor PNOZ s30 can be used in a wide range of applications and for monitoring various functions. 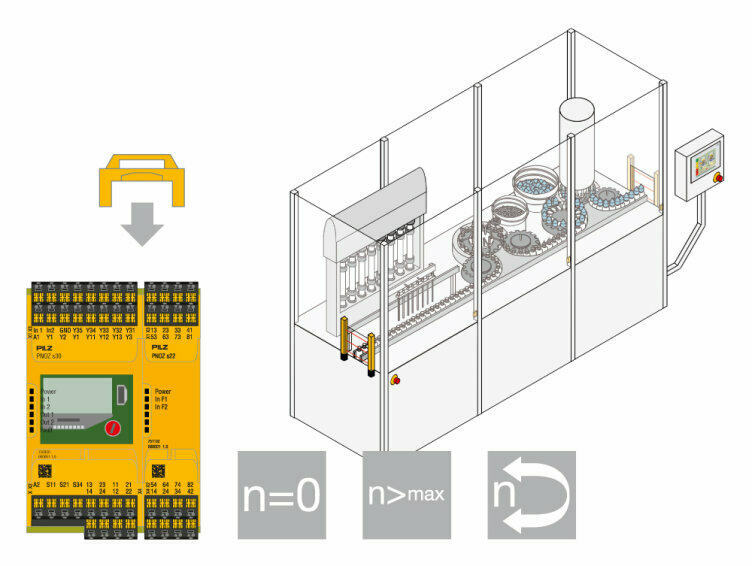 The user-friendly configuration is made directly at the device or optionally using the PNOZsigma Configurator. Typical applications for speed monitoring are balancing machines, high rack storage systems, centrifuges, filling systems, wind turbines or amusement parks. The monitorable safety functions in accordance with EN 61800-5-2 are listed below. Safe monitoring of the speed range (SSR - Safe Speed Range) is achieved by combining safe monitoring of the maximum speed – "Safely Limited Speed" and the safe monitoring of the minimum speed – "Safe Speed Monitoring". The safe monitoring of the speed range defines itself by the monitored speed having to move in a corridor of a minimum and maximum speed. Safe monitoring of the safe direction (SDI - Safe Direction) ensures that a drive moves only in the defined direction. Any deviation of the direction is safely detected and the relevant reaction is triggered. 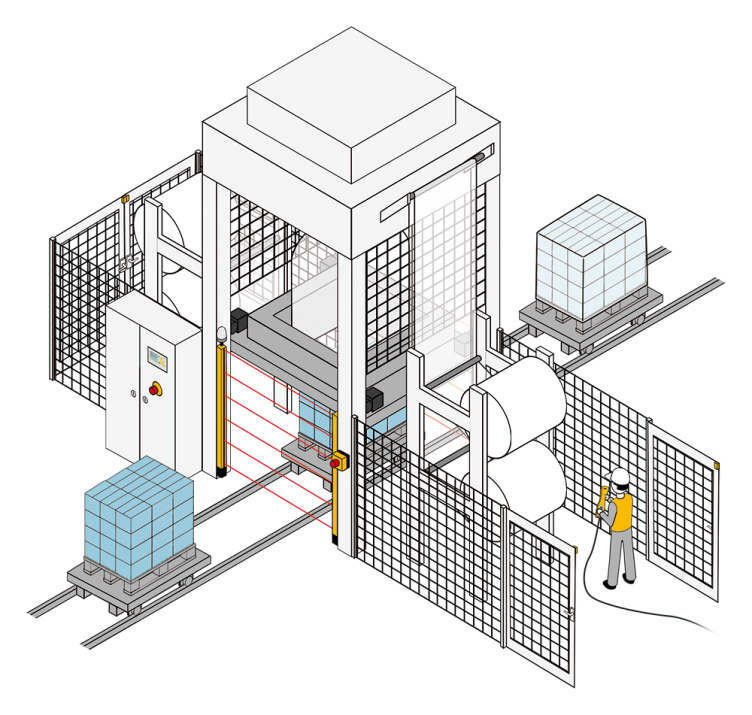 Monitoring of safe direction of movement is applied practically in cases where a danger zone is allowed access while the machine moves in a safe direction. The safe speed monitoring (SSM – Safe speed monitor) signals when a defined minimum speed is undershot. 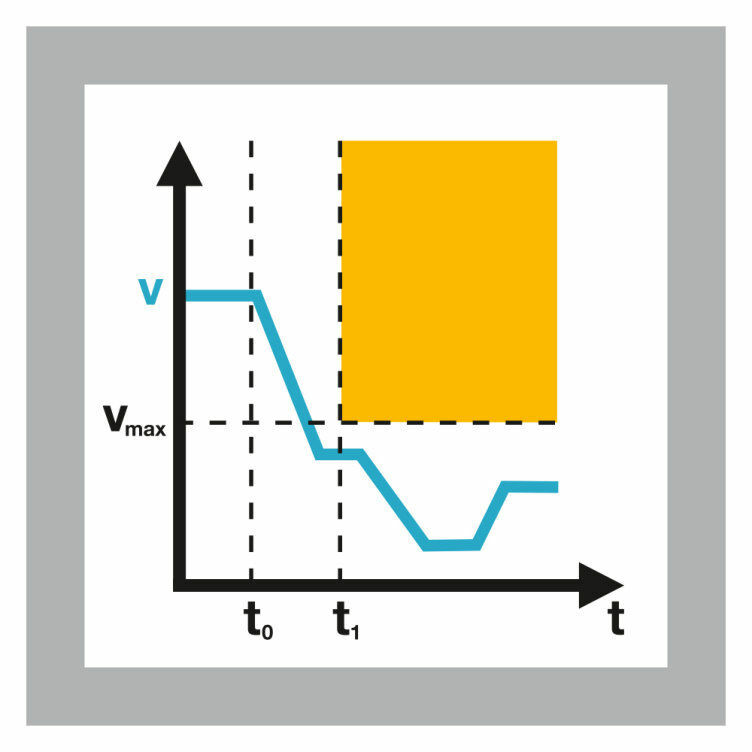 This may be used for example, to make a danger zone accessible when a specified speed is undershot. 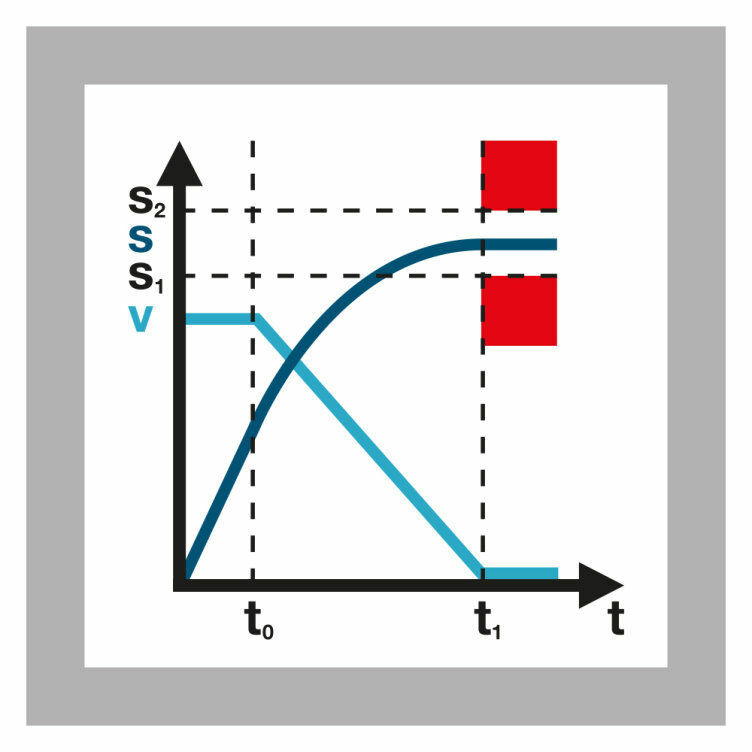 Different from that, the function "safely limited speed" (SLS) signals when a defined maximum value is exceeded. 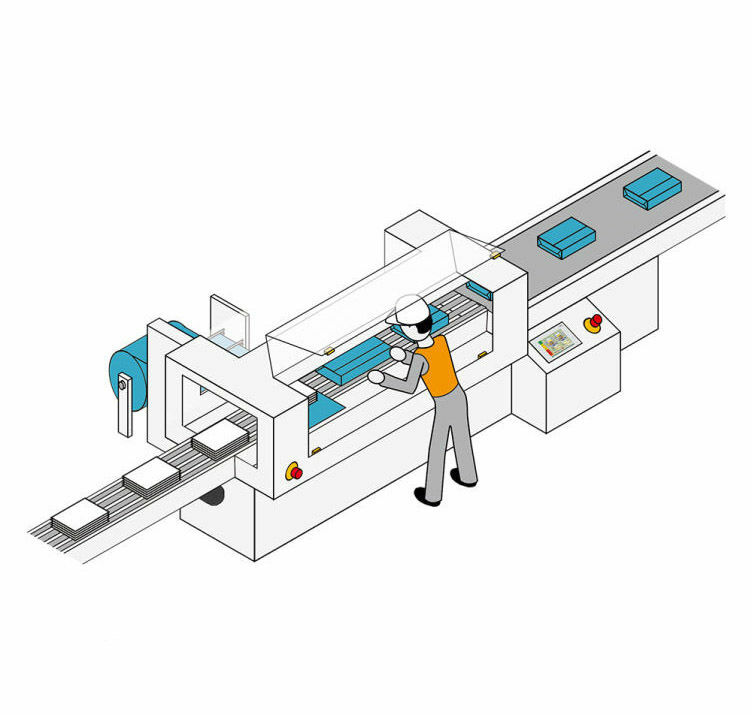 Safe monitoring of the safe operating stop (SOS - Safe Operating Stop) guarantees safe position monitoring. 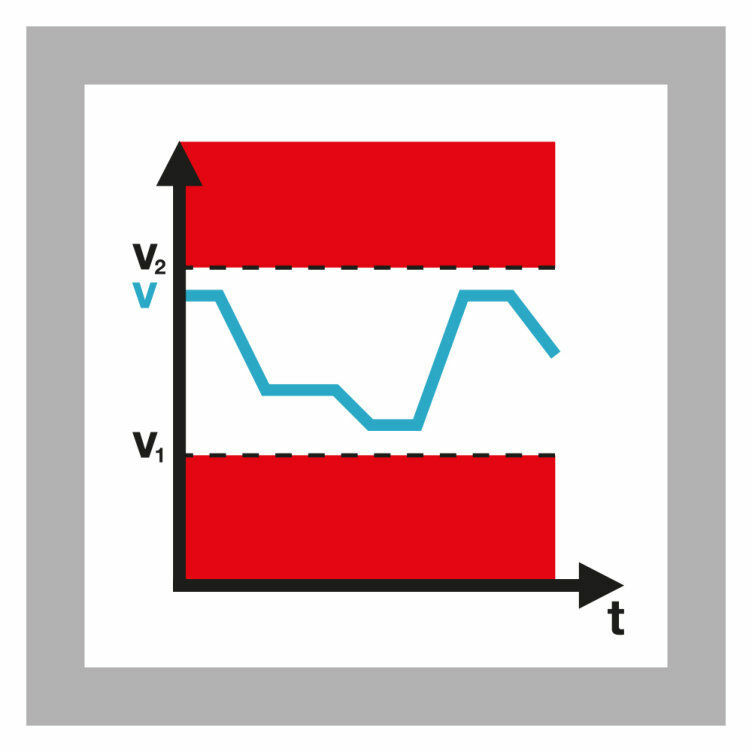 Depending on the configuration it is ensured that standstill or a defined position window is monitored. 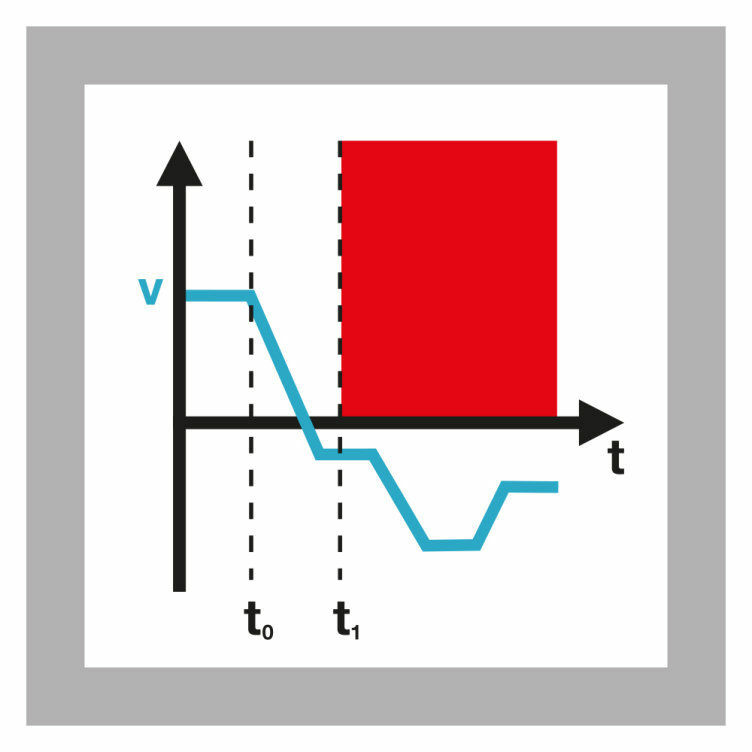 Leaving the defined area triggers a corresponding error reaction. 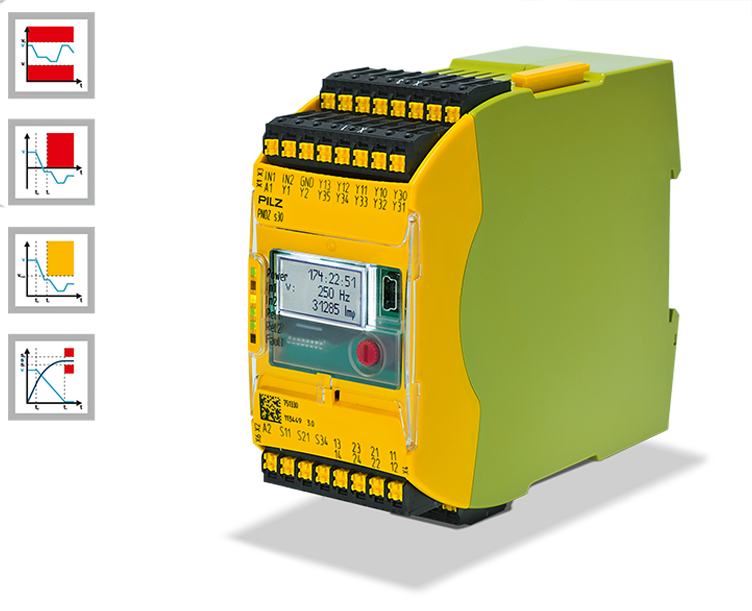 Each with 3 safety contacts and 1 auxiliary contact that can be separately controlled, so that different functions based on the base unit PNOZ s30 can be allocated to the outputs. Speed monitor for safe monitoring of standstill, speed, position and speed range. Monitoring of direction of rotation in accordance with EN ISO 13849-1 up to PL e and EN IEC 62061 up to SIL CL 3. 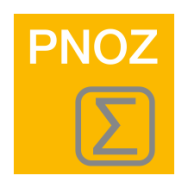 With the PNOZsigma Configurator it is possible to individually configure the PNOZ s30 speed monitor quickly and easily using a PC. New configuration can be created and stored, and also existing configurations can be read, copied and edited. 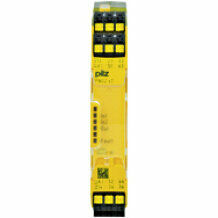 The contact expansion block is used as an expansion module to increase the number of contacts of the instantaneous safety contacts of PNOZ s30. The device meet the requirements set out in EN 60947-5-1, EN 60204-1 and VDE 0113-1.